Trebuchet’s SWP and Sean Keenan continue their questioning of Lee Gerrard-Barlow, as the discussion veers toward the notion of Mesmerism, energy and Quantum sculpting. Part one of this interview appears here. – Schopenhauer : On the Will In Nature. SWP: Shamanistic trance states are self-induced hypnotism/magnetism to bring about identification with totem animals or nature itself. In the occult world this kind of work is referred to as the Cult of the Beast – a willed reversion to discover latent abilities. Is Mesmerism similar? Lee Gerrard-Barlow: The sense of the use of the word ‘animal’ in animal magnetism was understood more by Mesmer as being a ‘sensorium naturalis’. Animals, the vegetable kingdom, and nature in general were seen by Mesmer as being in a natural state of Harmony. The only element that he felt was not truly in harmony was mankind, but he did regard magnetism as being the means to help a harmony to be established within us all. In the school of Dr Marco Paret in Nice that I trained under and work with, we place great emphasis upon ‘Presence’. This is something that animals and children already have a very strong natural connection with, but is something that we lose touch with as we become more and more layered in ‘conceptualisations’, as well as mired in our obsessions about our past regrets and future expectations. Mesmer achieved his greatest effects as a result of having achieved three months without any ‘internal dialogue’. This means that he had a direct contact with the ‘sensorium naturalis’. Actually, we have discovered ‘presence’ to be the highest possible form of ‘therapy’, along with our recent work in exploring the ‘Quantum’ aspects of mind, which will form part of our upcoming courses. I am aware that some writers in the world of the occult have operated aspects of this ‘animal’ theme or, as they see it, exploring the self through a form of ‘evolutionary inversion’ using ideas similar to ideas of ‘shamanic atavism’. This evokes a world of primal and uncontrollable energies that may be seen as parallel to, but are an entirely different expression of Mesmer’s understanding of the route toward Harmony. Therapeutically this is but a phase that can be passed through, and in that sense it could form part of the famous ‘crisis states’ that Mesmer obtained, where people would sometimes go into uncontrollable spasm and come out of them resolved of whatever was afflicting them. Often, the subject would even end up directing the operator as to what to do in order to help them while they were in ‘magnetic sleep’ or Magnetic ecstasy. So the aim is not to gain power from some animal state as such, but rather to pass through it, to go through the chaos state in order to reach ‘Harmonisation’. Sean Keenan: How does this fit in with Mesmer’s idea of the interconnectedness of all living beings? And is it significant that, of the hypnotic disciplines, only Mesmerism claims to work on animals? L G-B: This is a very good question. Mesmer did have contact and involvement with the continental traditions of Alchemy, in a sense magnetism may be seen as an aspect of that Alchemy, and I don’t use this word lightly. In India magnetism would be regarded as what was called a ‘siddhi’, or a magical power. Siddhis always come about as a side effect of certain other ‘works’ when working on oneself. The Alchemists had a version of the universal fluid of their own, sometimes known as Aethyr, Quintessence and so on. This was their way of expressing that ‘interconnectedness’ that you refer to. Mesmer’s ideas were an extension of this and were propagating a practical aspect of those traditions. As far as I’m aware Mesmerism is the only discipline that has effect upon animals. Common hypnosis does not affect animals, whereas magnetism does. Horses and dogs and many others respond very much to the non-verbal and purely energetic aspects of Mesmerism. SK: William Bateson (the man who coined the term ‘genetics’) asserted that living things should not be thought of as ‘matter’, but as ‘a vortex through which matter passes’. Quantum theory posits a similar idea, suggesting that it is not so much the matter of a body which gives it its properties, but rather the information organising that matter. Richard Dawkins urges us to think of evolution as a survivalist arms race between strains of DNA – with the dumb meat of living beings merely the ever-adapting matter surrounding the encoded information held in those double helices. In an essay published in Trebuchet, you claim ‘ill health is caused by an ‘imbalance’ in the human bio-system; yet this also has implications on a quantum level, as it is said that the [Mesmerist] operator forms a ‘Quantum entanglement’ with his subject’. Do you, as a practicing Mesmerist, claim to be influencing human subjects at a quantum level? L G-B: In short YES! , but a question like this is going to inspire a long answer! Many people ask why Mesmerists emphasise the parallels between Mesmerism and the Quantum, as they see them as separate disciplines. So, it will be a great surprise to learn how Quantum theory actually originated! The Alchemist Paracelsus essentially laid the cornerstone for much of the subsequent work in Magnetism, originally inspiring Mesmer himself. Magnetism was accepted practice in nineteenth-century Germany and influenced, most importantly, the work of the philosopher Arthur Schopenhauer (as well as influencing the works of Hegel, Fichte, Schelling and others). Schopenhauer wrote a book in 1836 called On the Will in Nature which included a chapter called “Animal magnetism and Magic” which mentions that Lord Verulam (who was better known in his role as the English statesman Sir Francis Bacon) also wrote on the subject of animal magnetism with a certain degree of knowledge and authority. In Bacon’s book Instauratia Magna, or The Great Instauration (Written 1620 ) he refers to animal magnetism as a ‘practical metaphysic’. The essential point being that ‘Will’ was the primary factor. The importance of the Will was the main focus for the great Magnetist ‘Puysegur’ who was actually a major influence on Schopenhauer himself . The question of ‘Consciousness’ is of utmost importance; what consciousness actually ‘is’; how it interacts with matter, this is the real question. These are the questions that were explored by those who continued to expand on the issues that beset Schopenhauer. After this we get Schroedinger, of the famous thought experiment ‘Schroedinger’s Cat’, and through Schroedinger’s work we have the next impulse of Quantum ideas leading into our current age, which are in no way incompatible with what we actually do in Mesmerism’. Many believed that Quantum mechanics pertain only to the physical world, but the older writers implied that the same rules also apply on the mental level. It’s all energy, thought is energy, Will is also energy. The newer conclusions are returning to this view . Einstein’s physics state that energy and matter are unified in space-time, thus ‘E=mc2’. Our own energy is not separate from matter but both arises from it and interpenetrates it. We feed into the universal energy, yet we also of course partake of it . This is what the Yin Yang symbolizes, and interestingly Niels Bohr, who is another very important Quantum philosopher, had this symbol attached to his grave. Bohr himself believed that we should turn to the problems that were of concern to thinkers like Lao Tzu and the Buddha when we are trying to harmonise our positions as spectators and actors in what he called the ‘great drama of existence’. This last sentiment hits the nail on the head with regard to Mesmerism, in fact the practice of the art of Mesmerism actually helped me to understand the meaning of some key points of the essential philosophy of the Tao Teh Ching. It is a practical applied art that opens up more than one may have thought possible in this way. 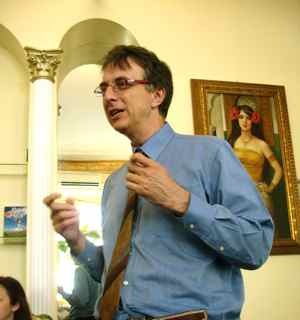 I recently saw a good documentary called Reality and the Extended Mind where Dean Radin, a senior scientist at the Institute of Noetic Sciences made experiments in certain aspects of Psi research such as ‘presentiment’, or the ability to predict the future. Many years of research were conducted under strict conditions, and he concluded that there is a kind of interaction between consciousness and whatever system it encounters. The results of this and other research were irrefutable and certainly to be ignored by science at its peril. Radin’s results came about by recording unconscious signals that measured highly sensitive autonomic nervous response (via sensors attached to the fingertips), which were connected to a sequence of computer-generated random images and random number generators. He found that consciousness causes whatever system it encounters to become more coherent, and I think we can understand this on the very simplest of levels. As small children we point out dogs chasing rabbits in cloud formations. It’s also the principle behind the Rorschach blot tests of psychology. We humans appear to crave coherence. This is also why the ‘conceptualising’ faculty is such a dominant part of our psyche. On the mental plane and perceptual plane however, Zen works on the opposite pole. It encourages us to break and dissolve these binds that kill the spirit, so that we have the possibility of perceiving things as they really are, or to reach what may be deemed the true ‘Objective state’; a goal that was of primary importance to the mystic George Gurdjieff. Mesmer was of the opinion that there was no such thing as empty space in nature, and he understood this space being filled with a fluid-like menstruum that permeated and linked together all beings. This idea of space as not actually being empty was later put in another manner by the physicist Max Planck when he said that the emptiest space is ‘full of energy at it’s foundational level’, and this has also been considered to be the case among some of the most advanced quantum adepts. These were all influenced by Schopenhauer, and in Schopenhauer’s writings is ample evidence of the thought that more and more are coming to in our present time. But of recent researchers, I advise you to take a look at the work of Dr Rupert Sheldrake, as he has done some very interesting work, as well as being a great writer and lecturer on his developed subject of ‘morphic resonance’, which points to a very similar area as what we work with in Mesmerism. But remember, quantum theory was inspired by the practical metaphysic of Mesmerism and the magical arts, not the other way around. In fact, all true practitioners of this practical metaphysic can only observe the conclusions of the world continually aping the inner forms, those that the practitioners of these arts have understood for centuries, perhaps even further back to Alexandria? Science is constantly shifting its position, as I’m sure it always will. By working with a ‘paradigm’ that is currently accepted in certain scientific circles, one which has already received a certain amount of public acceptance, we find in it a practical model. It answers many questions that the curious may have, it explains what we do for those who thirst for rational answers. So, for now, as an offspring of our ‘Mesmeric art’ the quantum model is a good one. But Zen for example, does not need an answer as we Western rationalists do. This instrument that we place emphasis upon in order to think and ‘rationalise’ is inadequate. We must ‘feel’ our position in the universe, and not rely on only thinking it! As William Blake attempted to convey to us, our true contact with eternity is right here, right now. Judgements, explanations, rationalisations will never teach us, but lead us deeper into an endless labyrinth. There is a chance for all to be fully realised in a true state of ‘presence’. Energy exists only in the present, and it is here that we are, nowhere else, and it is ‘here’ we operate our Mesmerism. Not in the past or the future, not in a book or in a film, or in our mind. SK: If, as Mesmer states, ‘the whole of nature is in harmony; except for man’, what then is man impeding? A pastoral antediluvian idyll of pre-technological bonhomie, or the unfettered honing of chemical DNA codes toward the creation of some ultimate, unassailable organic information replicator? Do we empower our latent ‘abilities’ at our own risk? L G-B: Mankind is asleep already. We are lulled into it through mechanical repetitive patterns which act like gravity upon us. Things can go in a very destructive direction through our sleepwalking , or we can make an effort to wake up. The big bang theory is but another convenient myth just like all the myths of old, to make sense of this universal chaos. We live in a dream, we are asleep, and just like in Plato’s allegory of the cave, we mistake the shadows dancing on the cave wall for the reality. First of all, when you speak of empowering our latent abilities, do you speak of those as latent abilities in the sense of what the world accepts, in terms of what we ‘think of’ as ‘exterior’ and technological progress? Or do you refer to the latent ‘hidden abilities’ that we possess internally? These are very different distinctions. We are on the whole masters of nature only externally. Inwardly we are generally nature’s slaves, and even so, I would say we appear to be losing our grip of what we believe to be our mastery of the external world, as disasters like Fukushima clearly show. SWP: I think it all boils down to whether Mesmerism is a tool for liberation or a means of control. I suspect that it is both, a double wand of power relegated to a parlour trick by the modern ‘sophisticates’, who are terrified of the unconscious (which if unleashed could tear apart their painstakingly constructed, and highly unsatisfactory artifice). L G-B: More often than not the first thing that enslaves us is, I shall say it again, our very selves. It’s important to wake up to this fact. Mesmerism and its ability to produce the presence state is certainly a tool for liberation.For personal growth and inner development it can offer a path toward self ‘realisation’. The definition of what exactly the unconscious is, is something that is really still open to debate. The work of ‘Presence’ involves various methods of developing a constant awareness of the body and its processes, as most people in our day are in fact often unaware of their physical selves. For most people the awareness of the body itself is unconscious, and this is particularly noticeable in those who work mainly with the mind, and is also rife in a time of increasing distraction and focus upon screens and gadgets that literally drain us ‘away’ from a relationship with our physical reality. SK: Or at a much more kneejerk, Daily Mail level, without the stipulated codes of practice under which clinical hypnotists are obliged to work, what code of ethics can we count on in Mesmerists? How can we be sure we won’t be tranced, comic-book style, and robbed, raped, induced to believe we are chickens, or other such property-devaluing antics? L G-B: As I explained, the core of the self is very aligned to self preservation. Speaking personally, I trained in one of the most rigorous schools of Hypnotherapy (ICH). All the codes of conduct that I learned from that school I uphold as my standard modes of practice, all of the techniques I have since learned have also greatly increased my ability to achieve maximum results with my clients. An individual coming to a therapist, no matter what specialisation they may belong to, will only choose to work further with the therapist if they feel a good rapport with them. As a standard of practice we always allay any concerns of the client and fully answer any questions they may have about hypnosis. 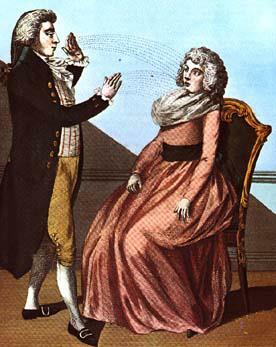 In general, the public often have misinformed ideas and prior misconceptions about various aspects of hypnosis and Mesmerism. If this is the case, these have to be worked through with the client as part of the procedure. These are very powerful methods and will often guide the client toward later gaining much more from them than they may have imagined. SK: Where can we learn more/take a course/participate, etc? 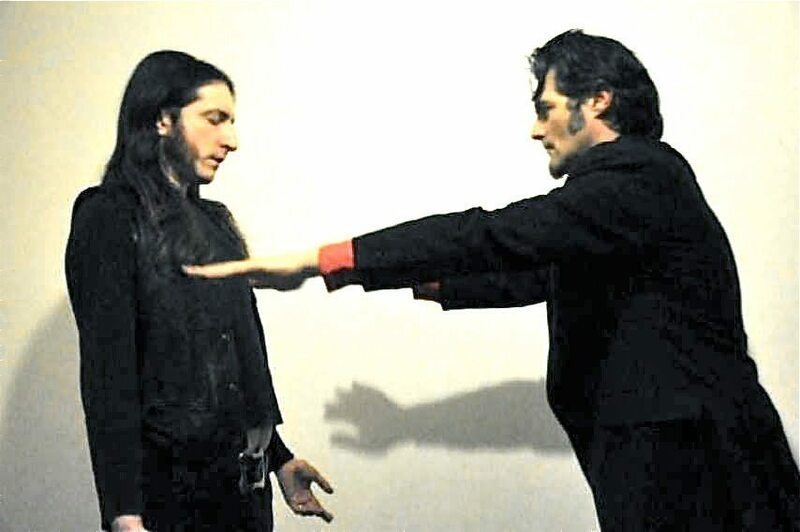 began teaching publicly, as would be expected, a few other Mesmerists have appeared on the scene, but they do not have the genuine line of tradition, as this art is truly the transmission of a lineage. It is important that potential students understand this before choosing where to study. I am proud to state that we do hold and represent that ‘authentic lineage’ unbroken from the oldest of traditions. To learn Mesmerism is truly a life-changing experience. Once you engage with it, it will radically shift your perceptions of what is possible. Reading about it or watching videos is like the difference between knowing about the physics of water and actually having a swim in it, and while on the theme of swimming , I highly recommend visiting my teacher in Mesmerism Dr Marco Paret at his school in Nice, because as well as it being a life changing experience, whilst learning you can also get a tan, go swimming and sightseeing in the French Riviera! I invite you to take part in our U.K. courses though. You can also learn all about the discipline of Mesmerism, Fascination and Presence techniques through me by visiting http://arcanatherapies.com/ where you also have the option of having private therapeutic sessions. I treat Stress Reduction, Smoking Cessation, Deep relaxation, ‘Presence Therapy’ Transforming negative feelings, Improved Breathing techniques; for Maximum Vitality, Meditation Techniques: centering and balance , Self Hypnosis, Increased Mental focus, Insomnia , Phobias, Confidence building, Performance enhancement and more . Lee has been working Therapeutically with trance states ‘Meditational’ and ‘Yoga’ based practices for the last 20 Years. He trained as an “N.L.P Master Practitioner” under Dr Richard Bandler’s Society of Neuro Linguistic Programming and studied deeply ‘Hypnosis’ and Hypnotherapy with The Institute of Clinical Hypnosis in London. He has a Central London practice beside Harley Street where he helps clients, using all of the disciplines he has learned and carefully forming a system ‘tailor made’ for each individual client’s needs. He has authored many articles and radio interviews on these subjects in various magazines and internet journals. As an Official Premier Trainer for ISI/CNV International the continental school of Dr Marco Paret he teaches courses in the arts of Magnetism (Mesmerism) Fascination and ‘Presence based therapy’. Lee also occasionally hosts courses in the U.K, and for his own Therapy Centre in the breathtaking mountain scenery’ of the Massif Central in France where he holds retreats and teaches Meditational techniques and deeper work in ‘Presence based self development’.